On a whim I met my brothers in Wyoming at Glendo State Park for the 2017 total solar eclipse. Our camp was within 500 meters of the center line of totality. Since I made the trip without much planning, I had only a video camera, DSLR with 400mm lens and no appropriate filters for looking directly at the sun. Because of this we were only able to capture images once the moon completely blocked the sun. As the sky rapidly darkened, the white pelicans flew back to the lake to roost and the nighthawks began flying, looking for bugs. The air also changed, growing colder. 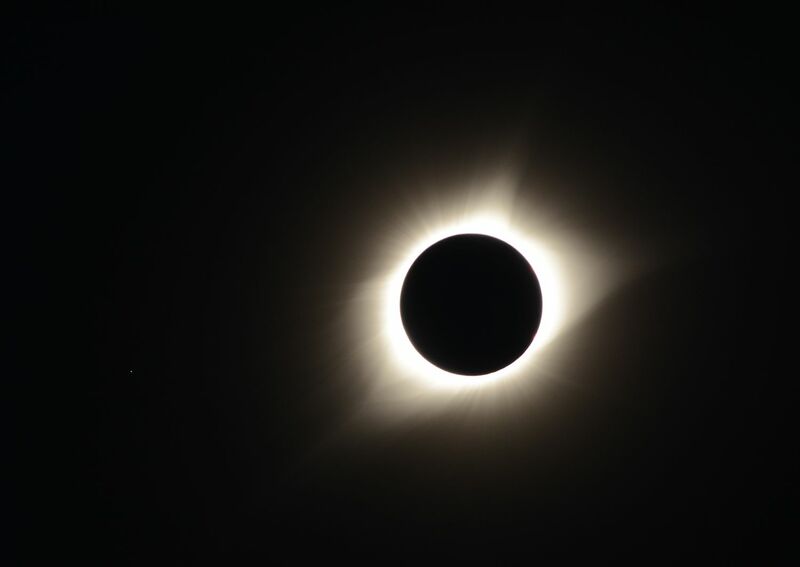 The scene at totality was surreal. I felt as if I were in a sci-fi movie. When I looked at the sun I saw a dark black circle surrounded by expanding plasma jets. We could see stars and planets!